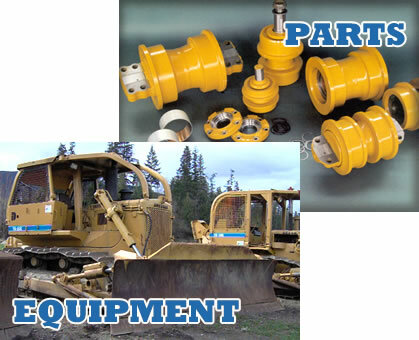 Dresser, Komatsu, IHC, Berco, Trek & Carco Gearmatic Parts and Equipment. We may have your part! We have some of our inventory loaded into the Online systems, but we have a huge number of parts for Dresser machines in our Dresser Center. Basically, WE HAVE SO MANY PARTS (Albert has collected them for almost 30 years now! ), it would take forever and a day to itemize them and load them into a computer system. If you have used the online system and nothing shows up on your search – PLEASE call us! We might have it in the Dresser Center! 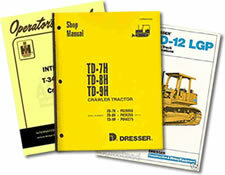 Operator Manuals, Parts Manuals, Service Manuals for many International, Dresser, and Hough machines!